2 tabs = Strong. 1 tab = Weak. Citric Acid, Sodium Bicarbonate, Sweeteners (Sorbitol, Sucralose), Malic Acid, Tri Sodium Citrate, Potassium Citrate, Magnesium Citrate, Natural Flavouring, Natural Colour (Riboflavin), Maltodextrin, Calcium Carbonate, Vitamin C, Green Tea Extract. 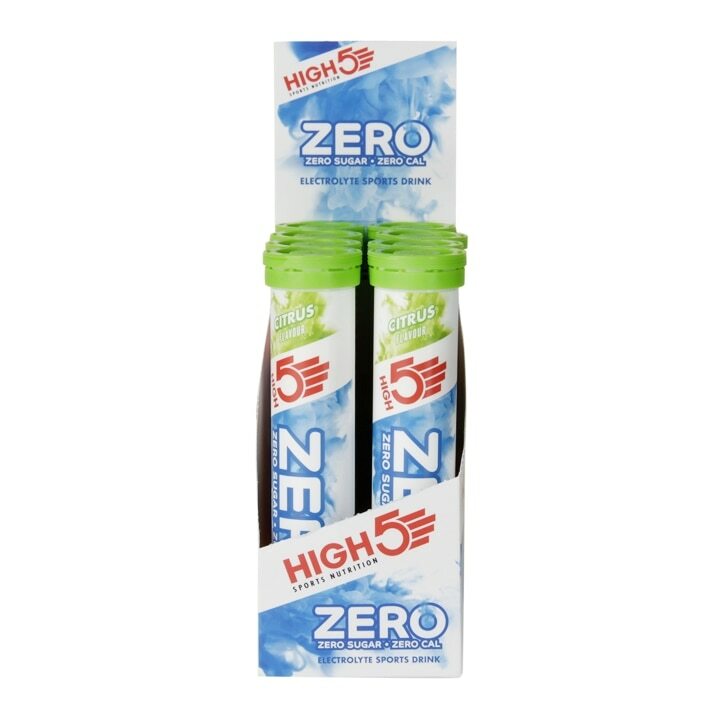 High5 Zero Citrus is rated 4.7 out of 5 by 10. Rated 5 out of 5 by RoadrunnerB from Good quality product Good quality product. helps replace essential electrolytes lost during exercise.